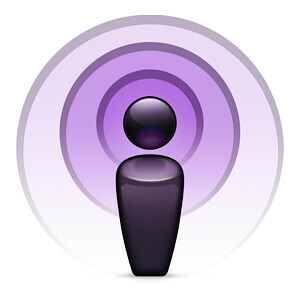 I’ve learned a lot during my EDUC932 (Education Technology) course, but I think my favorite has been the podcast. Whether or not it ends up being a big part of my school’s curriculum or not, it’s a great tool because most students will be able to do it with their cell phone, it’s easy to upload to a computer to submit, and self-reflection on speaking fluency and intonation will allow students an opportunity to critique themselves and (gulp!) each other. I will be instituting this tool into my own class curriculum in the near future, but I plan to lobby my colleagues and administration to make it a piece of the school-wide curriculum. Eventually, podcasting may give way to vodcasting or vlogs, but I believe it will be a valuable stop-gap for my students in the near future! Does anyone have any suggestions, or has anyone had experience using this tool as a piece of their curriculum? Let me know if you have any thoughts, suggestions, or other advice. You might consider having each student create a SoundCloud account and posting there. You can then follow all of your students for easy grading. They can also follow each other and listen to and comment on their classmates’ audio.